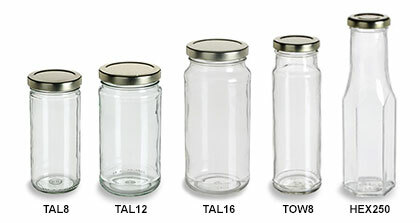 These tall clear glass jars are ideal for a wide range of food products including pickles, olives, sauces and dressings. High quality thick glass with a simple gold twist lug cap give these jars timeless appeal. Pricing includes both jar and plastisol lined metal lid.